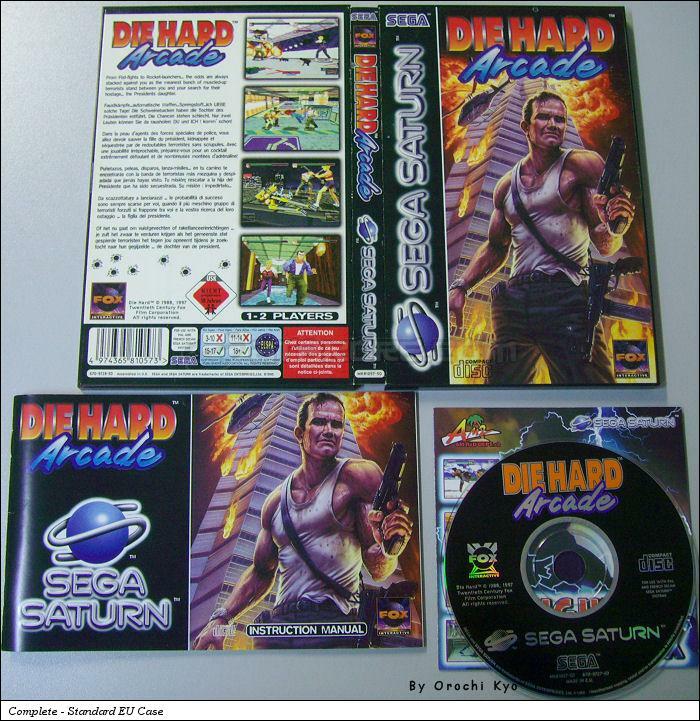 Die Hard Arcade is a Beat-em-up game, developed and published by Sega Enterprises, Ltd., which was released in Europe in 1997 for the Sega Saturn. This game has 2 different cases and 2 different CD labels. CD Label "Die Hard" text in Orange - "Arcade" text in Blue. CD available with the Standard EU Case. 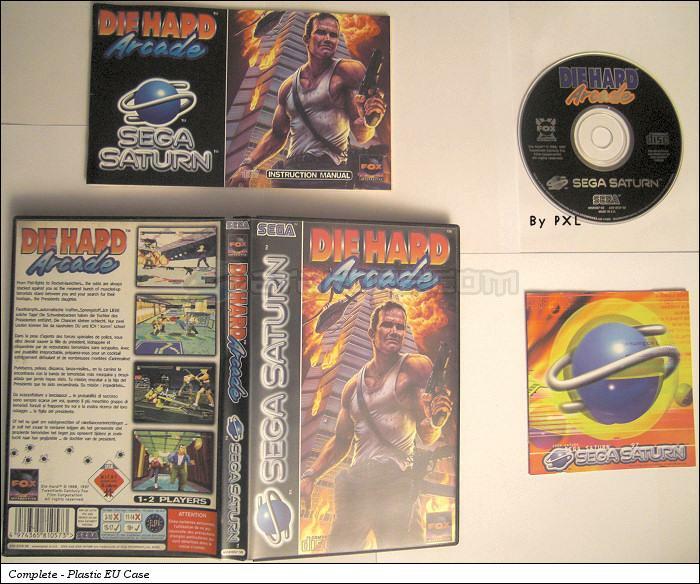 CD Label "Die Hard" text in Blue - "Arcade" text in Orange. CD available with the Plastic EU Case rereleased.